After a slightly disappointing episode 10, this episode gave me the ending a I wanted for the most part. Yay! Sniff. It’s sad to say goodbye to this series. I do admit that I was surprised by Asahina’s confession in this episode and it really makes me wonder if he seriously liked Natsui or if it was “like” bred by jealousy…Anywho…don’t read below if you don’t want the ending spoiled. 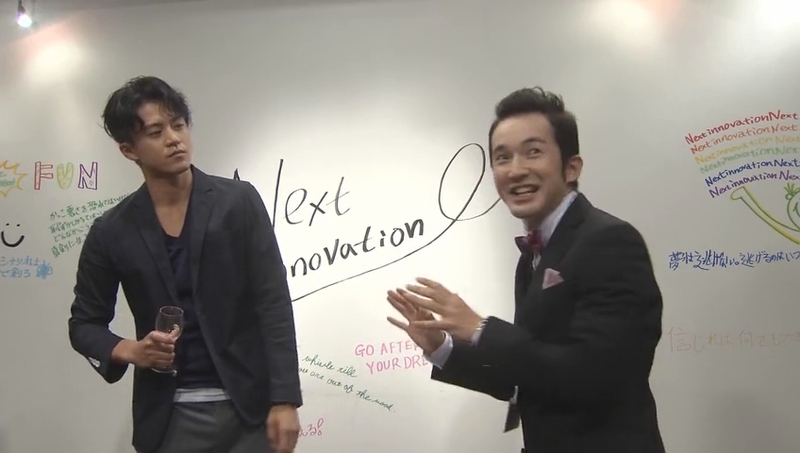 Toru heads back to Next Innovation looking like a lost little puppy. Hard to believe so much has changed in that company since Asahina’s takeover and subsequent arrest. Yamagami apologizes for requesting that Toru come back to a dying company. Getting Next Innovation back on its feet will be hard and Toru’s confidence has been shaken once more. At the lab, Natsui agonizes over Toru. She wants to see, but can’t bring herself to because it weakens her resolve. Her boss comes and tells her that it has been decided she will be sent to Brazil to do her research there. This shocks Natsui. Brazil! That’s half a world away! Yoko sits with Toru and he talks about how things will be difficult. Yoko is sure he’ll be fine as he’ll have Natsui by his side. So how did his confession go. Toru admits that he didn’t get a chance to confess. This frustrates Yoko. Heck, it still frustrates me. You know, we had that perfect non-confession confession scene that was totally ruined by these two idiots when it comes to love. Sigh. Meanwhile, Natsui goes back to Wonder Wall to collect her things and bid adieu to the boys. 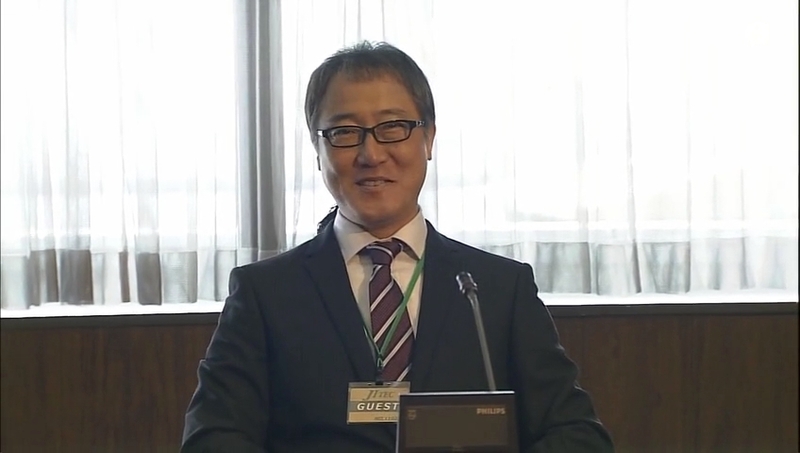 Yasuoka has taken Toru’s place as CEO. When Natsui goes to give back the keys, Yasuoka says she must keep him as the company was originally her and Toru’s. When Natsui asks where her picture of her and Toru is, Yasuoka doesn’t know. At this time, Toru’s press conference starts. He announces that he is back at the help of Next Innovation. The guard delivers the newspaper to Asahina and reports that Toru says that Asahina must definitely read it. Asahina looks at it and is in complete shock. The article reports that Toru is trying to save the quickly sinking ship of Next Innovation. How can this be? None of the news reports are positive—they all believe that it’s a big failure waiting to happen. Natsui rushes to Next Innovation to see Toru, but then wonders what she can possibly say. As she turns to leave, she runs straight into Toru. He asks after her job and she reveals she’s leaving for Brazil. This irks Toru and instead of these two talking and behaving like adults, they revert back to children. Toru insults Natsui’s job saying it’s a job anyone can do—at least in his work he stands out. Harsh, man, harsh. 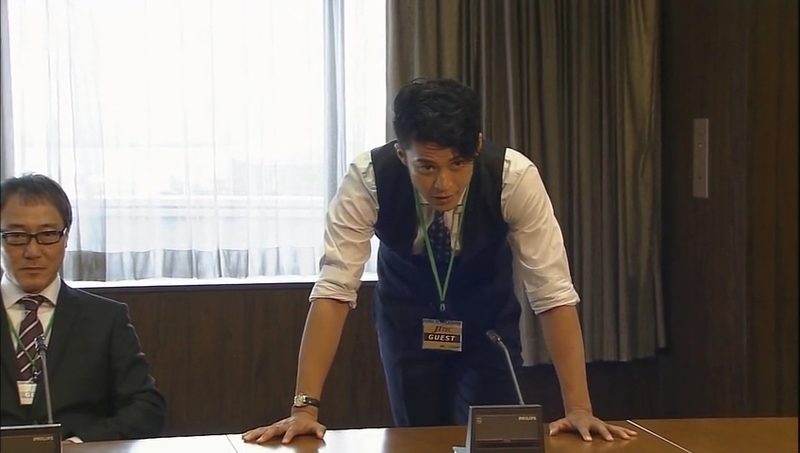 Natsui counters with saying Toru’s business dealings seem “shady.” Oy, these two. Why can’t you just say what you mean? Bakas! Thanks to the news report, Asahina is finally willing to meet with Toru. 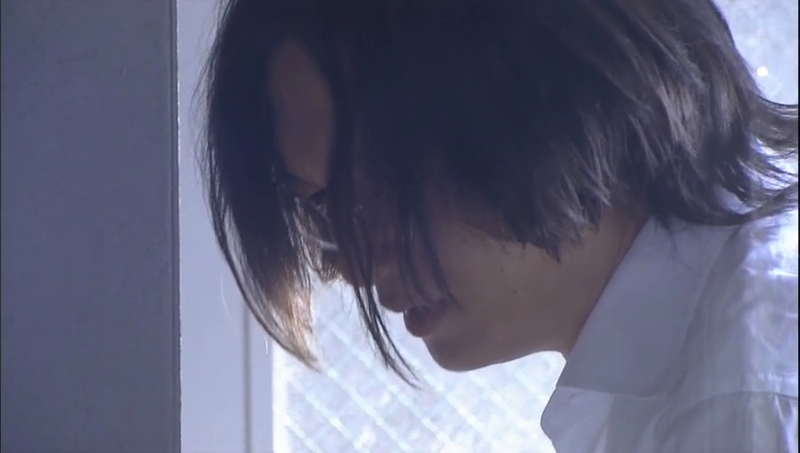 I must say that in his shattered state with hair in his face…Asahina seems so much longer (and more good looking now that his slicked-back psychotic looks is gone). Asahina tells Toru to give up on Next Innovation and gets up to leave. Toru yells out that he will never give up and Asahina gets down on his knees and apologizes. These two are mending their broken relationship bit-by-bit. It’s nice to see. Again, Asahina didn’t have to take it as far as he did even though he was hurt. For an intelligent man, he sure was stupid. I really did like how Toru did say that he wasn’t giving up on the company they built and that Asahina must come back when he’s out (in 2 years). After this visit, Toru calls Natsui who is once again crashing on the lab’s couch (this girl will burn out if she keeps working like she is). He apologizes for everything he said—he was in shock at the time over hearing about her going to Brazil. Natsui in turn apologizes as well. 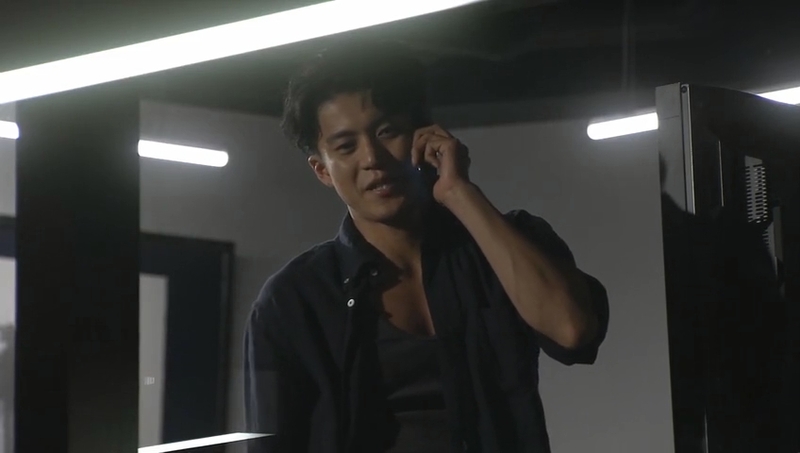 Toru then asks her to come over after work. Natsui is reluctant to do so, but she agrees and hangs up crying while Toru is happy that she has agreed. However, the night passes and no sign of Natsui. She doesn’t even call. 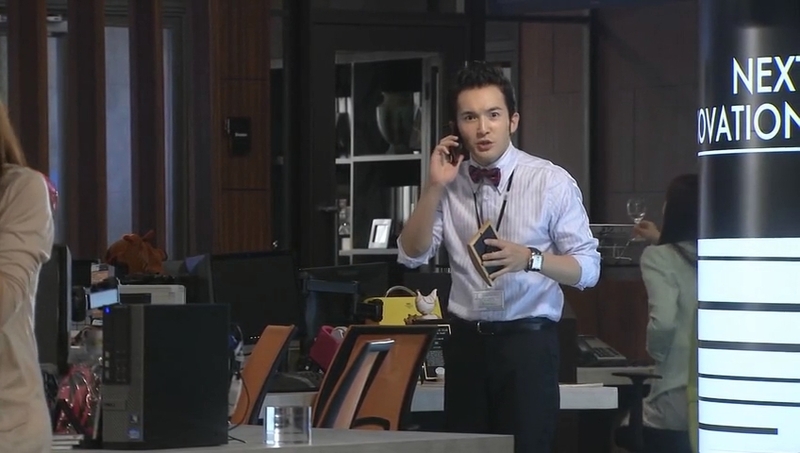 Morning comes and Toru heads out of the office as Natsui steps out of the lab to call him. She refuses to meet him. Why? Natsui tells Toru that she loves him too much and its painful. Thus, she doesn’t want to see him. This blows Toru’s mind. What in the heck is that supposed to mean? She hangs up and deletes their photo off her phone. Okay. I get it. She’s confused and hurting because Toru never came right out and said what he feels. This frustrates me because Toru has basically been telling her without telling her for the past few episodes. Then again, Natsui is a very stupid person. Sure, she’s intelligent in many ways, but Toru is right in saying she is the epitome of an idiot at times—well, he’s no better when it comes to love, either. Oh, and after this conversation, Natsui is told she leaves for Brazil in a week to spend a month there to get to know the team and acclimated before the big move. After this odd conversation, Toru rushes to see Asahina who is now out of his suit and looking much better now that Toru’s continuing the company and saying he’s waiting for him. Asahina wonders why Toru looks so bad and Toru’s first question is what does it mean when a girl says she loves you so much it hurts. Asahina pauses and then breaks out into laughter. It’s been so long since Toru came to him with such a nervous question—Asahina’s missed that. He then tells Toru that since Natsui has come into Toru’s life, Toru had stopped talking to him and coming to him for advice. Thus Asahina was hurt and jealous and he decided to do something stupid to hurt Toru back. Sigh. Toru says that he probably deserved it. LOL. Well…Toru did deserve a bit of punishment for not paying any attention to Asahina’s feelings, but he didn’t deserve what Asahina did. Asahina then tells Toru that means Natsui isn’t certain of his feelings. Toru doesn’t get this and Asahina won’t tell him anymore—the rest is up to Toru to figure out and deal with. So cute! It’s nice to see these guys back where they should be. 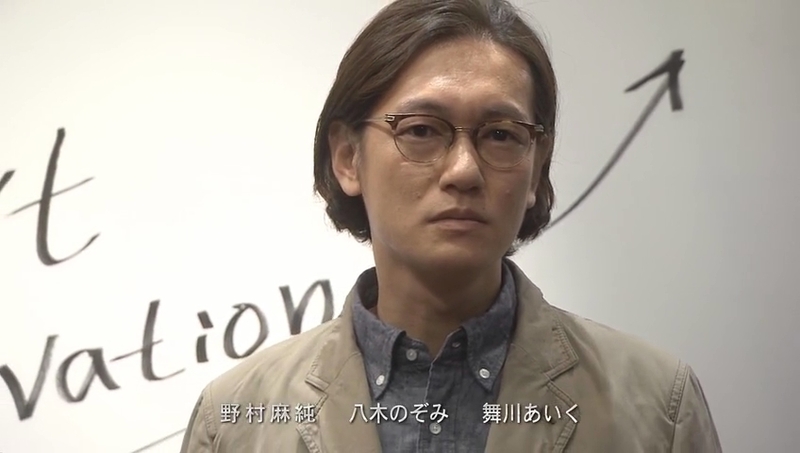 Toru goes to JI Tech and asks them to loan him 50 million for the personal file project—he’ll even give up all ownership rights. The JI board aren’t really interested in this and balk at his investment price. Toru ducks behind Yamagami and explains his plan and how the personal file project will be around long after they are all dead and gone and will be the beginning of a new infrastructure of Japanese society. The president liked Toru’s gumption and gives him one week to show him some results. If Toru can do that, then he will gladly give him the money. Toru says he only needs three days which nearly gives Yamagami a heart attack. Toru then states he was only kidding—can he have two weeks instead? LOL. Next Innovation is then thrown into chaos as everyone struggles to get the job done in two weeks time. Yamagami is particularly frazzled. They won’t make it in time and they have no budget to begin with unless they can produce results. Enter in the Wonder Wall boys. Since Toru is restarting the project, they cannot help but join in. With this, there is hope that Next Innovation will make the deadline in time. Toru also gives a very inspiring speech. All innovation comes from the desire and love for someone else. Thus, the workers should use those they care about to shape the project and bring it to life. This speech, which is very un-Toru-like if you think back at how he used to be, really inspires his teams to work even harder. Sniff. Toru-san is all grown up and so mature now. Toru takes a marker and redraws the original Next Innovation logo on the wall. A fresh start. Yoko goes to visit Asahina who apologizes for disappointing his little sister. He asks if she can ever forgive him. Yoko tears up and says that she has never loved her brother more than at that moment. And you know what? I never truly got the sibling vibe from these two. I mean it. Sure they had some sibling-like interactions through this series, but I must say I was never 100% sold on them being believable siblings and this scene, while it was touching, almost seemed more like boyfriend-girlfriend than brother-and-sister. It’s probably just me. It’s an interesting concept. Most people complain about the lack of chemistry between romantic leads and my complaint is lack of sibling feeling between…siblings. LOL. Since Natsui is going to Brazil, she’s packing up and letting her apartment go. Until the big move, she will be staying in the lab’s dormitories and finishing her thesis. Ono wonders about Toru, but Natsui just cannot face him as facing him always weakens her resolve and she has resolved NOT to see him and be swayed when he can’t come out and tell her how he feels. Meanwhile, Toru successfully signs with JI Tech for the loan for the personal project. The CEO tells him that the success rates of business is nearly less than 1%, so having a company last is a miracle. He wishes for Toru to be that miracle. Toru goes and happily tells Asahina this news. When Asahina asks if Toru handled the situation in his own way like always, Toru thinks about this and says that he supposed he did. He then says that he is starting to like the person he has become with Natsui’s help. That night, Next Innovation celebrates the resuming of regular business and being officially saved. The workers ask to be allowed to write on the wall again and Toru consents. He is then asked to give a speech. Toru downs the wine in one go and starts naming every single one of his 37 employees. Wow. It only took him a long time, but he can accurately name everyone and he can even give them some of their personal information (like he told Yasuoka is birthday and age). Yep, Toru is maturing. 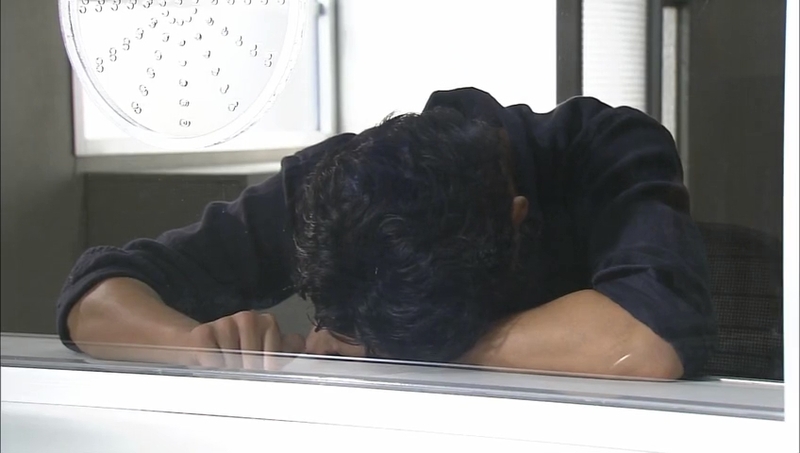 Toru then passes out as he was drinking way too much due to missing Natsui. 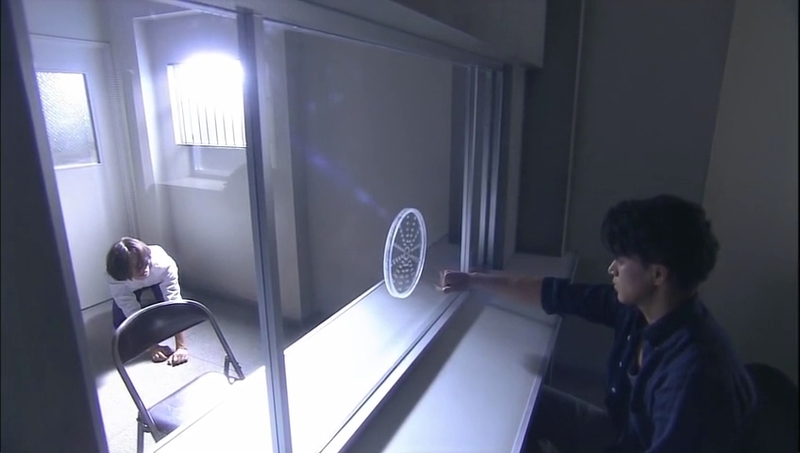 Yoko scolds him for this and goes to get him some more water (or something) when Yasuoka comes up. He’s on the phone with Natsui who stopped by Wonder Wall to say goodbye and see if he found the picture. Yasuoka has the picture in his hands and lies saying he has no idea where it is. He tells Natsui to look through everything to see if she can find it. He hands this picture over to Toru. Kyaaa! Yasuoka’s matchmaking is just sooooo cute! Toru takes the picture and coat Yasuoka gave him and rushes off to Wonder Wall. Now, I had thought that Toru took the picture originally, but maybe this was all part of Yasuoka’s plan after all. I just loved him. He’s one of those minor characters that you just end up liking and looking forward to. Natsui looks through box after box and cannot find the picture. She decides this is a sign to completely give up on Toru and leaves. Toru misses her and goes to her apartment to find a for rent sign on the door. He then rushes out trying to call her. 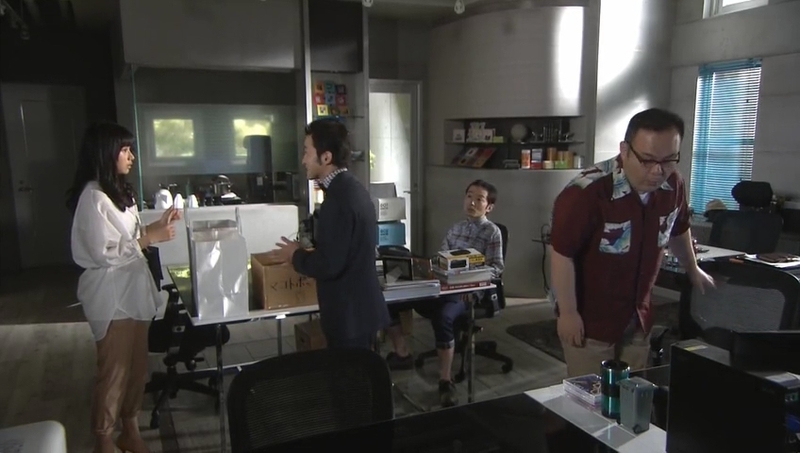 Yasuoka then has the employees gather so that Toru can find Natsui. After some quick research, they find the flight and airport Natsui is on and Toru heads to the airport to head her off. Natsui notices Toru’s many calls as she’s in line to get on board the plane to Brazil. As she looks at the call log, a new call from Toru comes in. Natsui ignores this, but does end up picking it up when she hears Toru’s voice echoing through the place. Natsui then takes off and Toru demands to know why she’s running away—because he’s angry! LOL. Toru then demands to know what she meant when she said loving him was painful. Even if it is, should she endure the pain and stay by his side? Natsui is frustrated—him saying that shows he doesn’t understand how she feels. He has never once told her how he felt about her. Toru quickly says he likes her, but Natsui won’t listen as it wasn’t said with sincerity. Toru then puts on his jacket and gets serious. He tells her that he likes her and asks her to stay by his side. His confession makes her happy, but the reality is that Natsui has to go to Brazil because of work. When she starts blabbering again, Toru quickly shuts her up with a kiss. He then says that distance doesn’t matter. He’s Hyuga Toru after all. What is a measly 18,000+ km distance? There’s telephones and computers so they can see each other often. However, there is something he can’t do over that distance—kiss her. So Natsui will have to put up with him doing it now. Kawaii. Toru leans in to kiss her. Awkward pause in which they both laugh and then they kiss. And I mean kiss! Not a makeout session, but a genuine kiss that was more than a barely touching horribly posed kiss that you see so often (more so in jdramas than kdramas or twdramas). One year and nine months later. Yasuoka married the girl he was crushing on! Oh, and Asahina makes his reappearance from prison. His first order of business is apologizing to everyone. Toru then hands him the marker to write on the wall once more. Asahina writes that together they can do anything. Toru then goes off on video call with Natsui. When she sees him multi-tasking, she complains and he hangs up on her. He then gets a call on his cell from her where she complains that he hung up on her. Only Natsui is in the office! Toru welcomes her home and she happily replies she’s back and rushes into his arms. The rest of the Next Innovation employees gather and a “family” picture is taken. I was worried that the ending would be too rushed, but I can honestly say I am happy with how this turned out. It was a great ride. Sure the leading couples lack of…understanding of their feelings was grating at the last minute, but it turned out well in the end. Although, I could have done without yet another last minute drama airport scene, but this was hilariously different in that the girl actually ran away in fear of the wrath of the male. And like I said before, I was really unhappy with the decision Asahina made, but that was what the two really needed to keep their company and friendship from completely stagnating. Thanks all for your comments and following me for the past few months with this drama. I shall miss it and our discussions. Thank you again for all the great recaps. I looked forward to coming to your site and reading the recaps as they helped me get a better sense of what was happening in each episode. I also loved how each recap (and especially this one) has your commentary sprinkled throughout, because you are saying what I was thinking :). I really enjoyed the ending because I think it stayed true to the tone of the show throughout. I also liked how I did not feel that there were loose ends and it felt belieable as if this is how it would happen if these were “real” ppl. I must say that even Torus’s forgiveness of Asahina was something that struck me as right and easy to believe, even though Asahina did a lot of terrible things he has been someone very important to Toru. Asahina has been his family and with family you forgive a lot of things you think you wouldn’t. Of course I’m also over the moon that Toru and Natsui finally expressed (with words) their feelings for each other and not only that but we got a kiss (2 of them at that). It has been a fun and very enjoyable ride that I will miss. I, too felt this was more real to life in a lot of ways. I bought Toru’s forgiving of Asahina as I believe Toru knew deep down that his friend wasn’t really a person who’d played him all of these years. Unfortunately, by the time he knew what Asahina was doing, it was too late to save his friend from making a huge mistake. I was happy that this was an ending I could enjoy that didn’t feel too rushed and just right. Everything was pretty much wrapped up neatly without a whole lot hanging and me wondering just how certain events happened. I was pretty happy to get the two kiss scenes. It make up for the near misses in the past few episodes. Finally finished this show in a super sonic speed……3 days and 11 episodes…it was roller coaster ride where I laughed, cried, inspired, motivated with just one show. 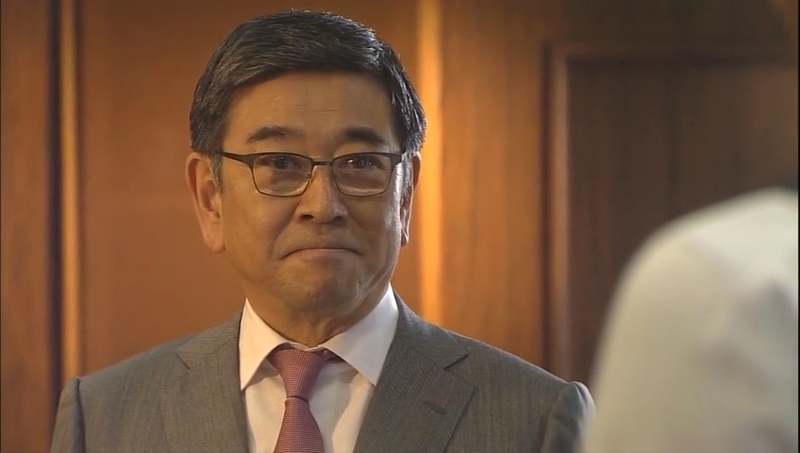 not sure what to say more but indeed my first Jdrama is indeed the best ever asian drama (so far…). lovedddddd shun and his endearing smile……and his naughty eyes…hehehe…he has now motivated to watch remaining of his Jdramas…started hana kim also. hope it will be of same fun only. Thanks Neenee for the recaps….. 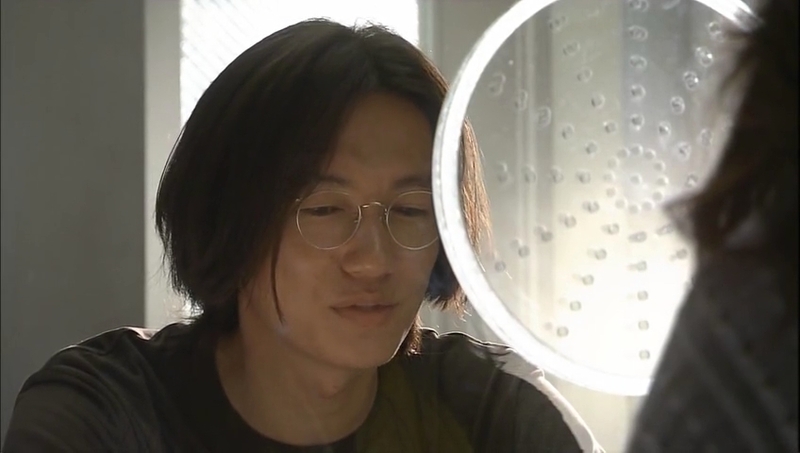 I first saw Oguri in HanDan and then Hana Kimi. 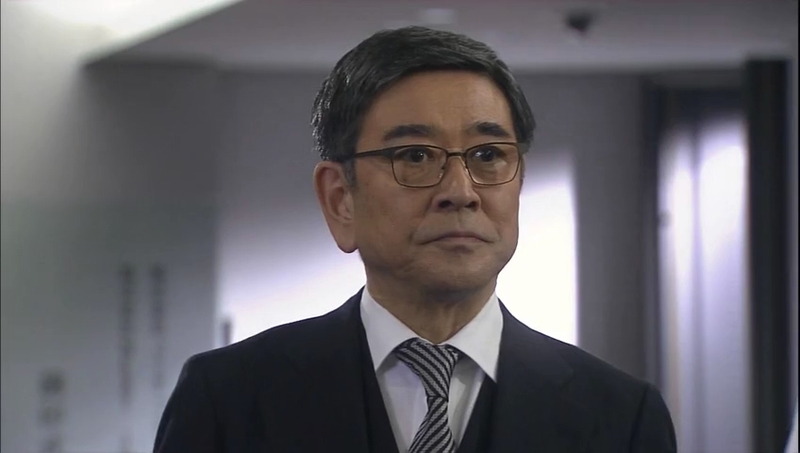 He was excellent in both dramas. I pretty much have loved all his dramas that I’ve seen to date. 🙂 He’s a great actor and you chose an excellent choice in your first jdrama. You also didn’t have the anxious wait that all of us did who watched it while it was airing. It was AGONIZING waiting for each new episode to come out.